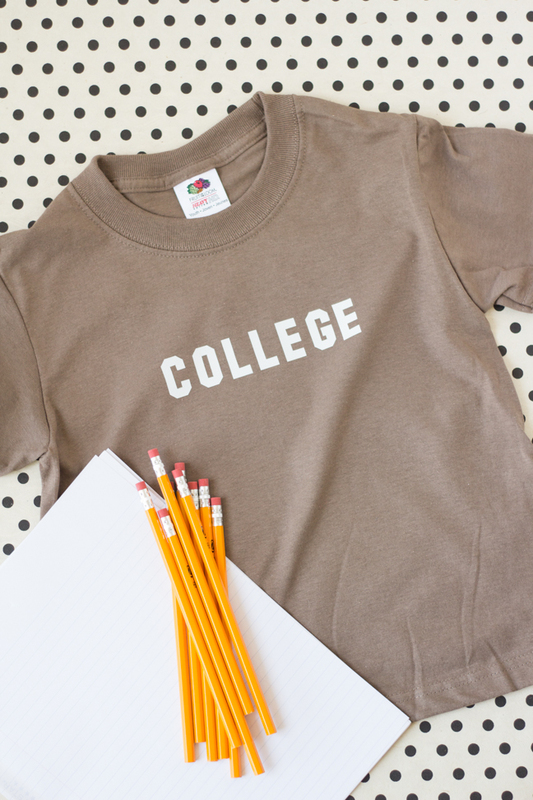 Kiddos headed back to school? Have them help you get their closets ready! 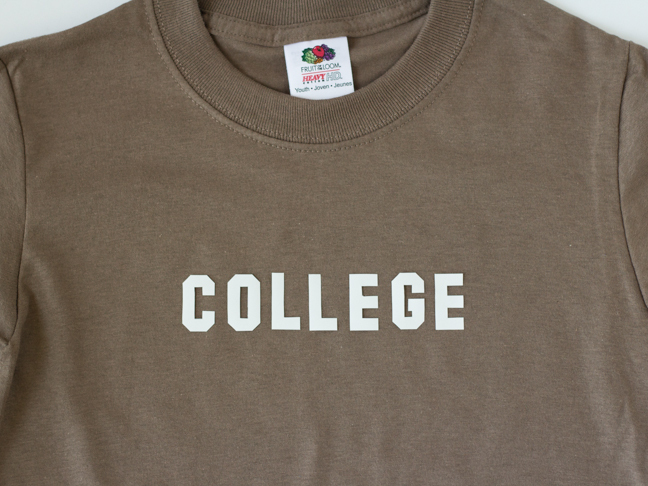 I love the idea of taking a simple tee and making something really fun and personalized out of it. 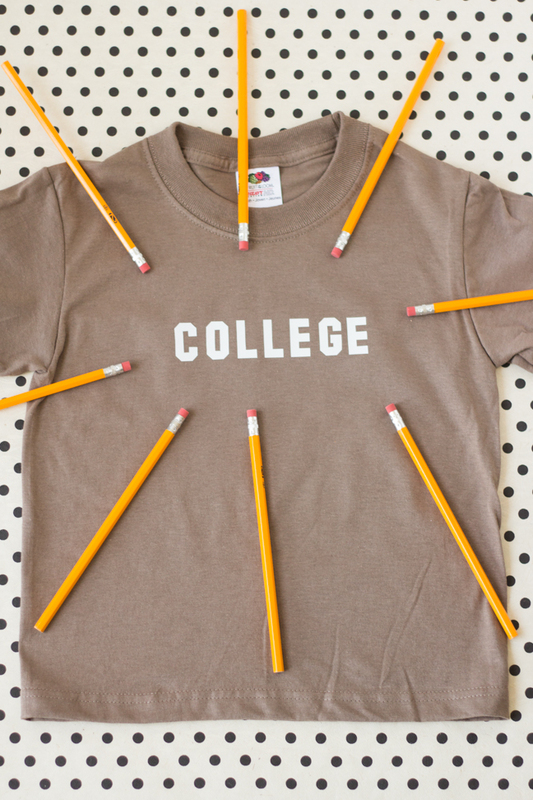 And since school has started for most folks, how about a little tongue-in-cheek joke that will make parents giggle too? (Animal House, anyone?) 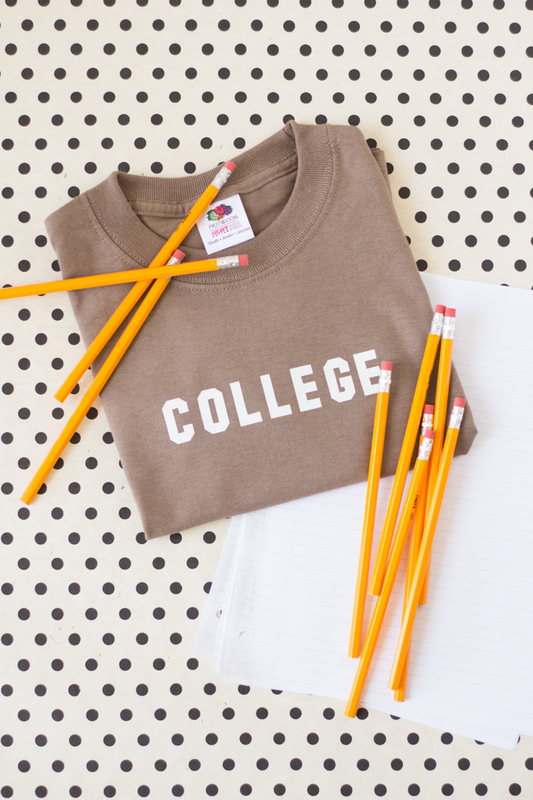 You can download our “College” design, or get creative and put your own ideas to work, then start creating your very own iron on tees. 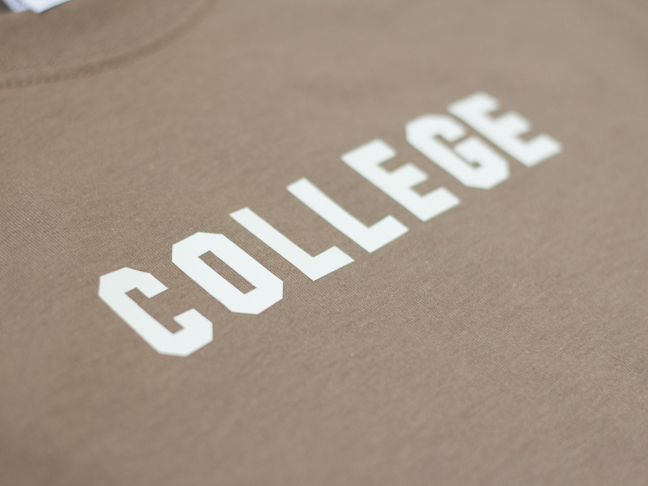 Step 1: Download and print the “College” download onto a piece of Avery transfer paper. 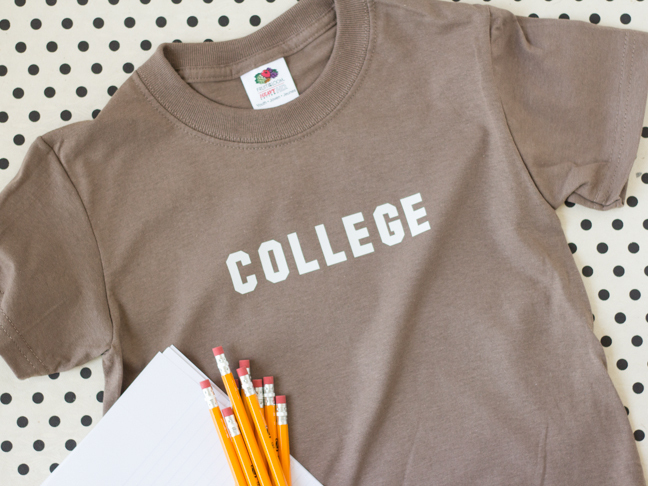 If you’d like to make your own design, create and print your idea on the transfer paper (no need to reverse the image for this particular paper!). Step 2: Cut out each letter, carefully cutting inside the lines so that they are fully trimmed off. 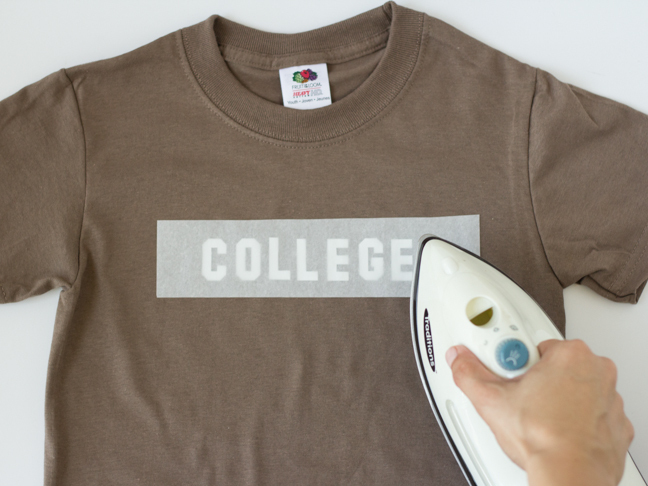 Step 3: Iron your T-shirt so that it’s free of wrinkles. 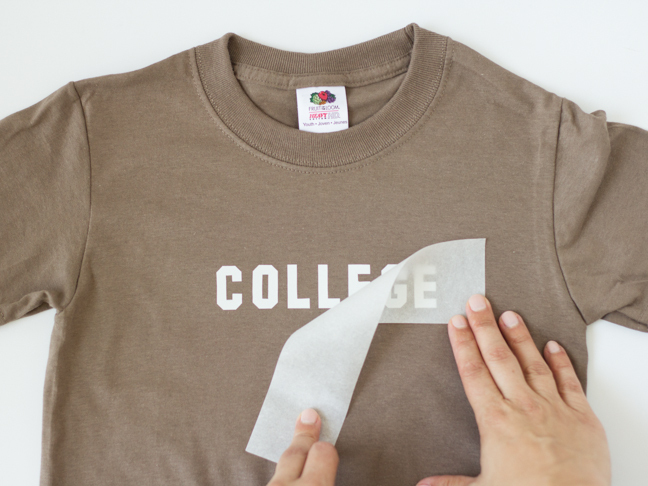 Step 4: Peel the backing off of each letter and place each one back-side-down on the T-shirt, being sure that they’re aligned properly. Step 5: Place a piece of the tissue paper from the Avery transfer kit over the letters. Step 6: On a firm surface like a counter top (not a soft ironing board! 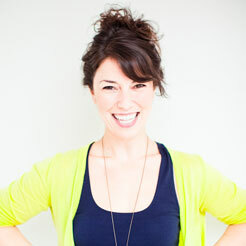 ), press firmly down on the letters with an iron. Keep the iron moving slowly, smoothing down the letters with firm pressure for about 30 seconds. 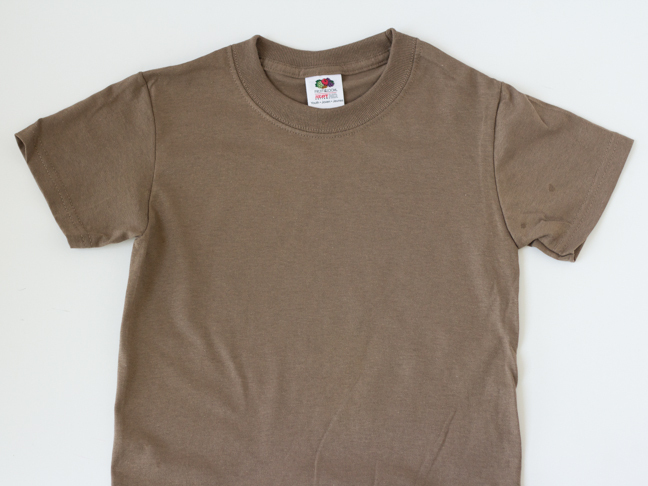 Step 7: Let the shirt cool for a couple of minutes and gently peel off the tissue. Follow the directions on the packaging for washing and care, and send your kiddo to school in style!